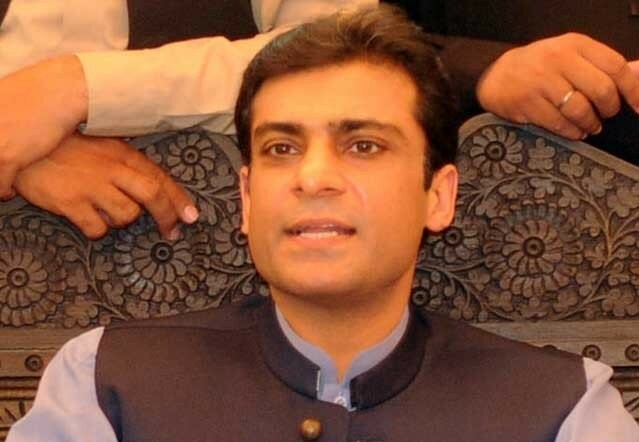 LAHORE: The Federal Investigation Agency (FIA) on Tuesday stopped Punjab Assembly Opposition Leader Hamza Shehbaz from boarding a flight to Doha on Monday night, saying his name has been placed on the Exit Control List (ECL). According to sources, Hamza was to travel via Qatar Airways from Lahore airport when he was stopped from boarding by immigration officials. “The FIA officials said that the National Accountability Bureau (NAB) had requested placement of the name of Hamza, who is facing an inquiry over possession of assets beyond known sources of income, be placed on the ECL,” the sources said, adding that NAB is also conducting an investigation into the Ramzan Sugar Mills. “When I reached the immigration counter, I was told that my name is on the blacklist,” Hamza told reporters, claiming that he was not wanted in the ongoing NAB inquiry. Hamza’s name was placed on the no-fly list amid fears that he may flee abroad during the investigation in the manner of his brother Salman, who was successful in leaving the country. In November, NAB had written to the Interior Ministry requesting the placement of Hamza and Salman’s names on the ECL. Salman has been in London and has skipped the last three hearings in NAB. According to NAB, the brothers ─ in their capacity as directors ─ had a bridge linking to their mills constructed in Chiniot using public funds. The Rs200 million project was approved by then chief minister Shehbaz Sharif, NAB claims. Hamza is also facing an inquiry into the Saaf Pani Company case for presiding over some meetings of the board of directors and allegedly issuing orders regarding the award of contracts. NAB claimed Hamza was not even a member of the board at the time. NAB claims that its is investigating Salman for owning assets beyond stated means of income. Pakistan Muslim League-Nawaz (PML-N) spokesperson and MNA Marriyum Aurangzeb said that Hamza had been prevented from boarding the flight at the immigration counter where he was told that he had been placed on the no-fly list. “He is not a terrorist, he is a responsible citizen and politician,” Aurangzeb said, adding that the party should be informed under what law Hamza’s name was placed on the no-fly list.